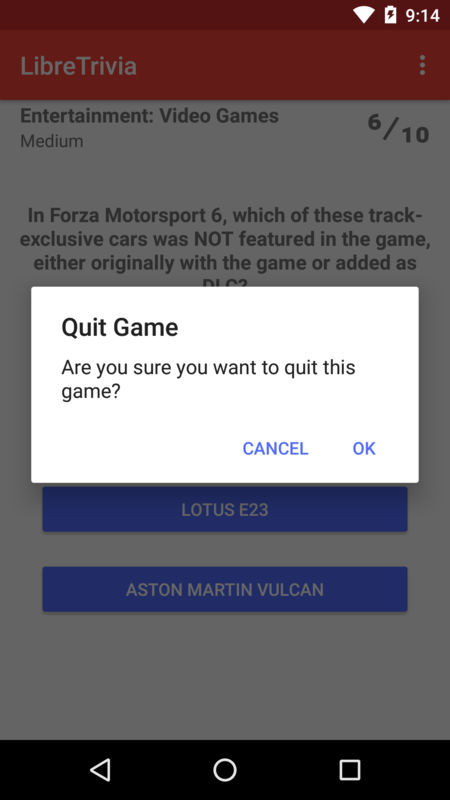 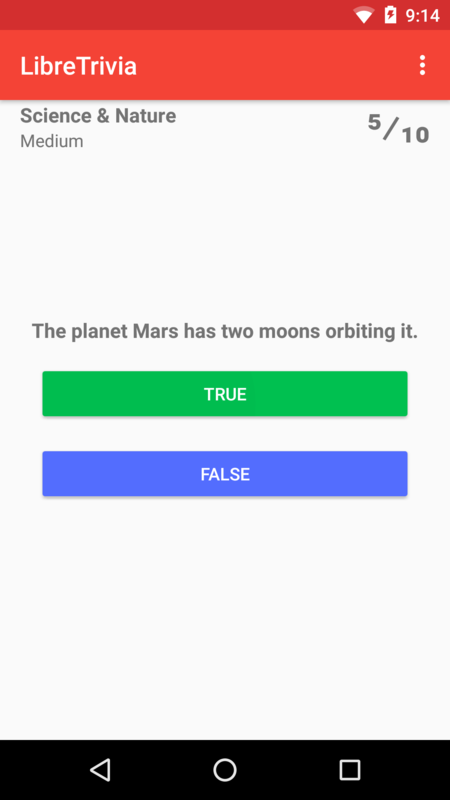 An open source trivia game for Android. 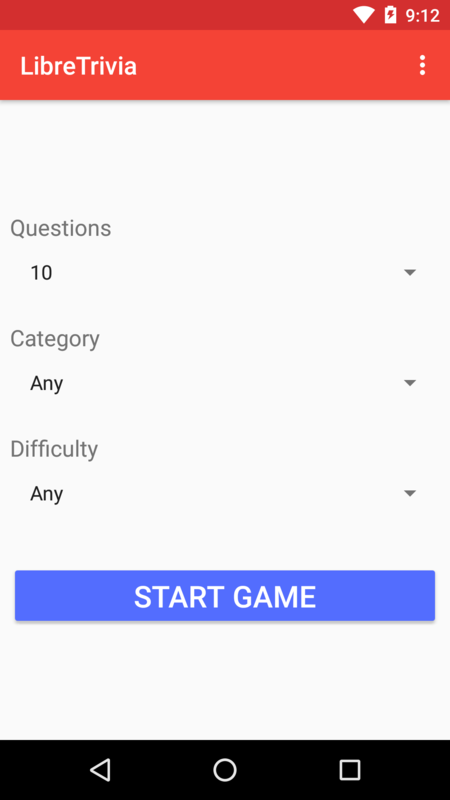 Simple trivia game for Android. 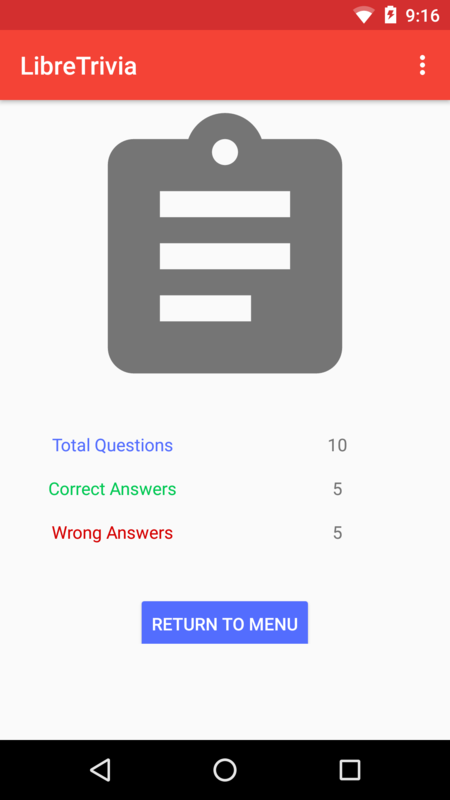 Uses the Open Trivia Database's API.